Skewer reporting from somewhere in East Anglia. 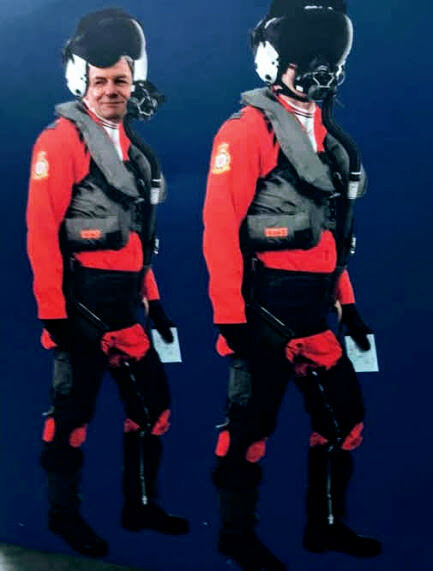 <S> Gents - Thought I would pop in a few aeroplane related comments from my tour. The Group Captainess and myself have been ambling northwards from the heel of Italy (Apulia) to the northern lakes then from Southern England (Hawkinge) up the east coast to Whitby where James Cook started his impressive sailing career. She loves the winding dickensian cobbled alleys (as do I) but I get to visit every air museum, WW2 airfield and anything that flies on the way. 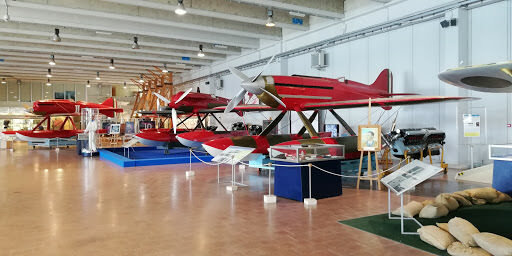 >>> Aeronautica Regione museum just north of Rome - The Macchi M.C.72 ! 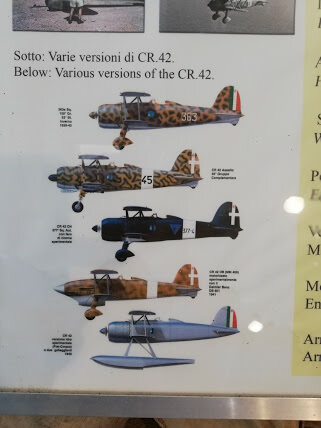 Could this beautiful Italian speed monster have changed the course of WW2 and the BOB??? 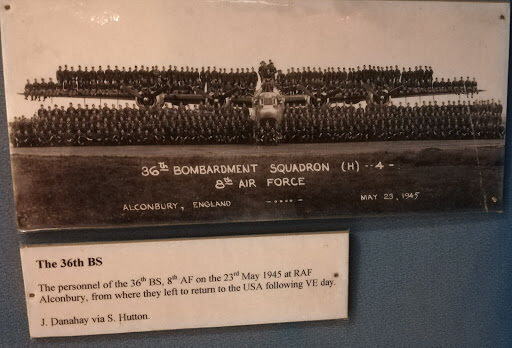 >>> RAF Cottishall RAF and commorating USAAF including 36th and 458th Liberators, and special ops. 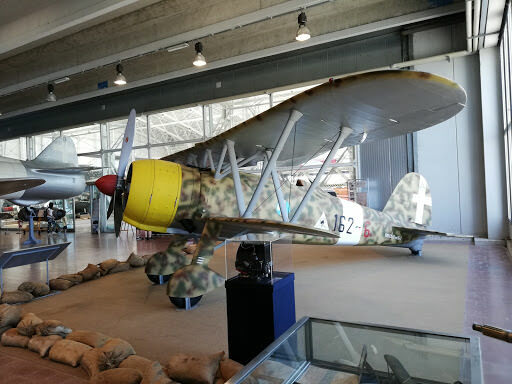 1 Italy - picked up rental and scurried out Rome to the Italian Air Force museum (Museo storico dell'Aeronautica Militare di Vigna di Valle) on a lovely lake to the N.E. A lake you cry? 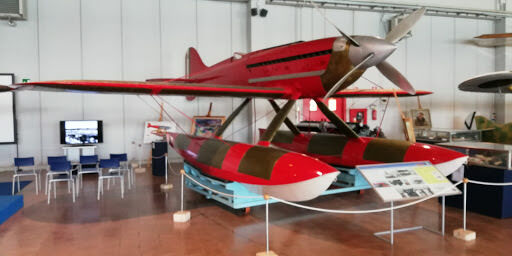 Yes a significant early development of the Aeronautica Regione was in flying boats- not so many airfields about then, but rivers, harbours and oceans all over the place. 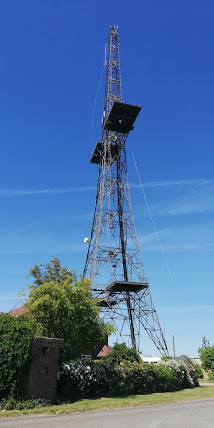 Some amazing aerial feats too including a Balbo - (named after Italo Balbo the leader of this mass world tour in 1933) popping into the USA and impressing the socks off FDR with whom he had lunch . 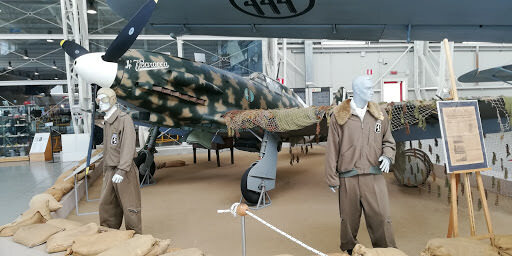 The Macchi C202 and C205 with the BMW 801. 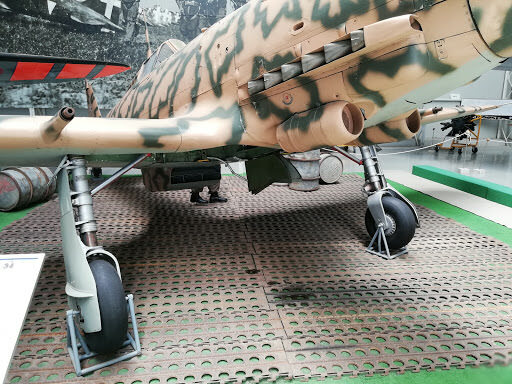 The C205 was heavier but with cannons, and said to rank with the top fighters of its period. So here are the three different entries together, the furthest away being the M39 with which, the company won the trophy in 1926 at 396 MPH!. 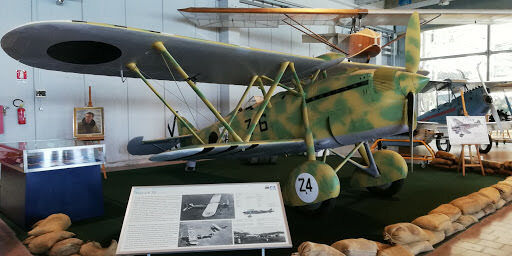 The nearest kite is the MC72 which did NOT make it to the time slot allocated in the final Schneider race in 1931 due to technical problems - it had a very narrow temperature range to get top performance. Supermarine almost didn't make it either when the British Government withdrew funding. In stepped the redoutable Lady Houston with her 100,000 pound donation (around $6,300,000 US bucks today! 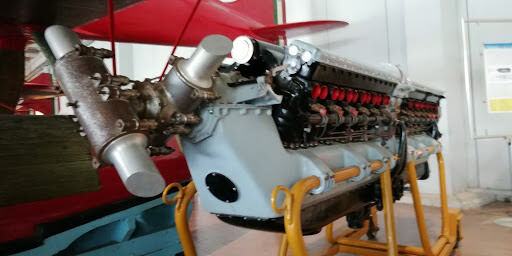 ), and they had the new Rolls Royce R (which became the superb Merlin). The UK was the only country to make it to the start (says Wiki) so they won, but did make a good showing at 380 MPH and later in the year breaking 400 mph barrier. 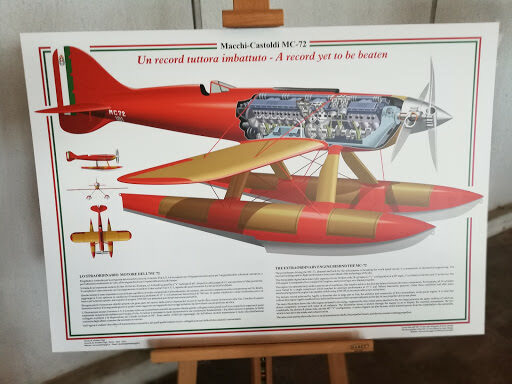 OK - my poser: In 1933 once the MC72 was tickled up and sadly, on its 3rd pilot, it set the world speed record for all aircraft which stood for 5 years and still holds the fastest piston seaplane ever at 440.7 MPH. !!! WHATIF the MC72 made it to the start and performed OK. 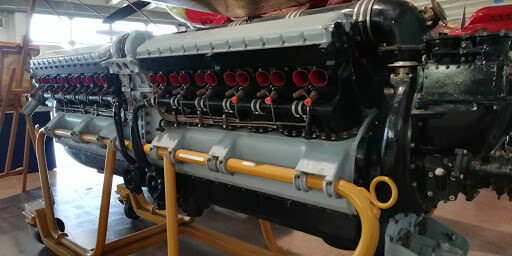 It would have walked away from the Supermarine and its RR-R, the UK - and Supermarine - would not have won the trophy in perpetuity (forever) having done it 3 times in a row, and MAYBE Mitchell would have had a much harder time getting funding for his new fighter than even the limited development it did achieve. Would Supermarine have invested in the type 300? The Air Ministry had rejected both of Mitchell’s early offers for the fighter specification… No Spitfires for the BOB which was won on a knife edge (yes, the wonderful Hurris did the heavy lifting, but the Spits allowed them to be more effective) - outcome: German air superiority, invasion and a different story for History. 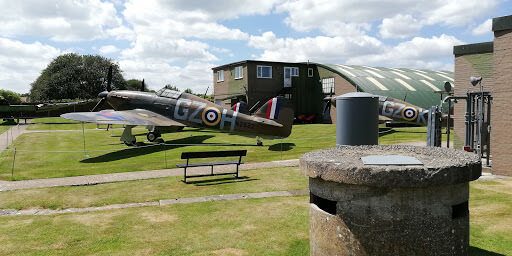 Here is the beast - what would happen if you lined up two Merlins in a SuperSpit? Off to England and the BOB airfields. Every bump is well known to me (and you!) from CLOD so I had to see what is was really like. 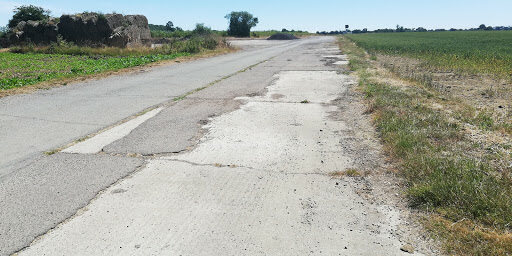 Sorry to shatter the mood, but progress has achieved what the Hun bombers could not - the destruction of this airfield, significant for being the front line - closest to France… It is now a housing subdivision - a victory in its own way with swords turned to ploughshares as we would wish. 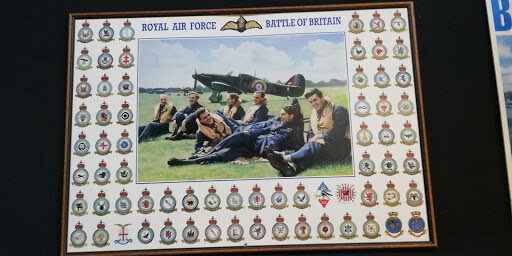 But there was the wonderful Kent Battle of Britain museum run by a passionate life long enthusiast David Brocklehurst (MBE!) and telling the personal stories of so many who gave their lives. 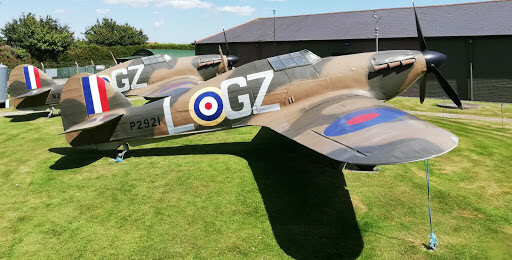 Many shattered Merlins and their histories leave a very strong impression, and there are lots of other bits and pieces, 3 ‘gate guardian’ Hurricanes done in 32 Squadron livery, a complete but crashed 109 and more. I was pleased though to stumble on a painting of the very Hurricane I have been assigned in my ACG CLOD squadron, trusty GZ-V P3522. There it was - but I could not photograph it as some plonkers were using cameras to take pics to defeat the security and had stolen a number of rare and valuable items (FW109 control column etc) so no cameras allowed now - More on this painting later. 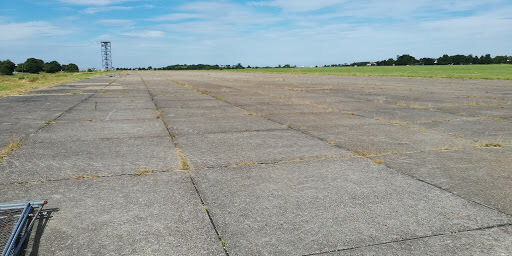 I asked Dave if the annoying bump on the eastern side of the airfield was actually there, and he insisted it was real (well done IL2 CLOD!) - I had planned to find it and ceremonially relieve myself on the spot, but thought better of splashing one on number 42 Spitfire Way’s letterbox! A must-see if you are down this way (yes the museum. The letterbox is unexciting). 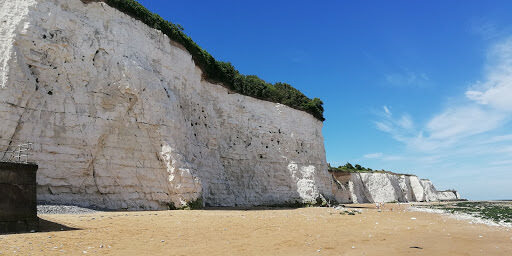 BTW - how white are the ‘White cliffs of Dover? Really white! And again well portrayed in CLOD. 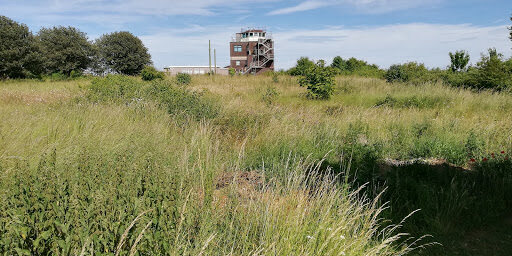 Headed for London but on the way called in to pay my respects to RAF Manston which is still there, and bumped into the Battle of Britain memorial museum on its edge. And colourised to commemorate the squadrons of the BOB and the oh so young lads thrust into mortal combat. But felt pretty sad at the losses and once again angry at the elites who make war and expect others to pay for it. 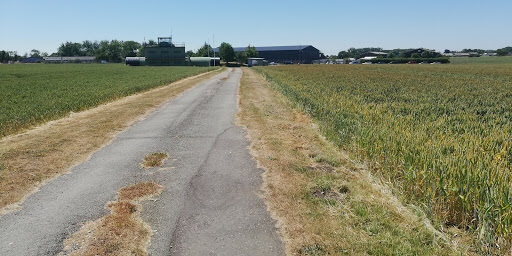 Puttered north through East Anglia visiting bomber airfields that are once again wheat fields and potato patches. Parham hosted the 390th B17s whose first mission was to ‘bomb’ Holland with much needed food supplies as the Germans were starving them. I had better post this or I will be home before you get it!! 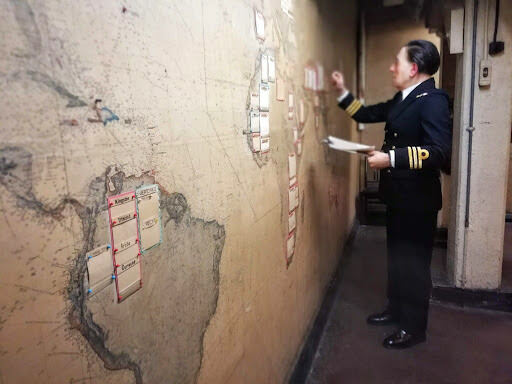 Churchill War rooms in London - His underground war rooms for times when above ground was a bad idea. Fantastlc not just for the war frozen in time (It was sealed up straight after the war) but for the comprehensive museum added aftewards. MUST DO if in London. 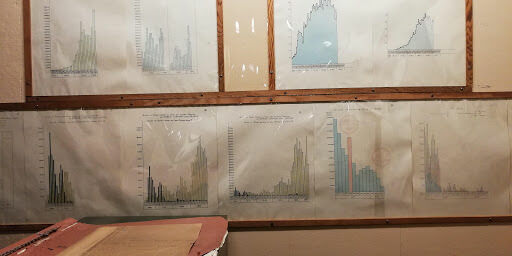 The map room as it was then and now. The bombs away story in a graph presented late in the war - Really lopsided - eventually. 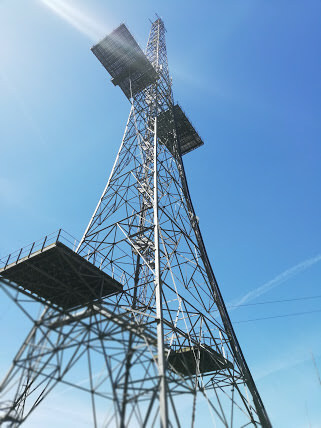 The last remaining RAF Chain Home radar was spectacular - 110 M tall and standing proud. Impossible to underestimate the importance of these to not losing the BOB - Along with Dowding and Parks information network and brilliant management of fighter deployment, the radar was a multiplier that made the significantly fewer Spits and Hurris have the impact of (my opinion) 3 or 4 times that number. 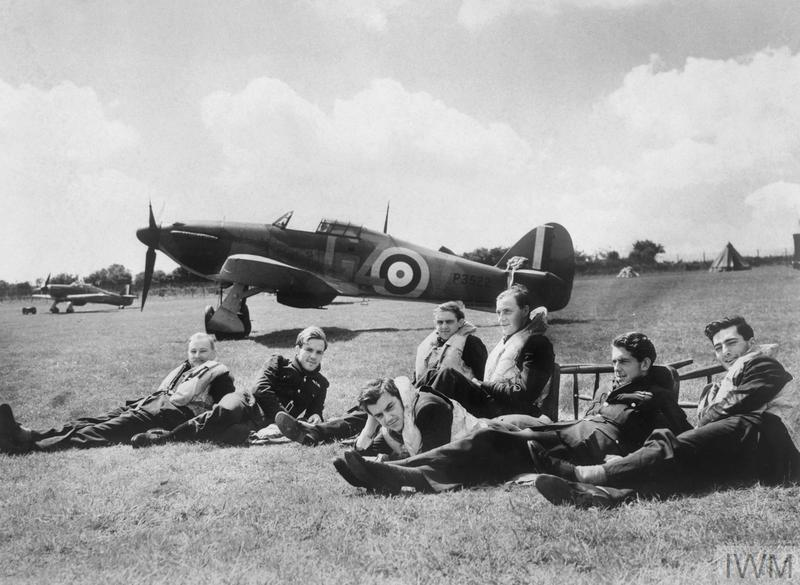 Even on their last legs when Churchill popped in to Fighter Command during a large raid and asked ‘ what are your reserves at this point?’ and got the chilling answer ‘none sir, they are all up…!’ the RAF still made the German flyers think that the allies had an inexhaustible supply of kites and pilots. 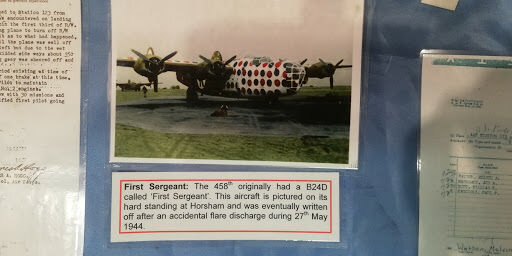 The wing-commander herself hit me with a delightful surprise : She had arranged in NZ for a visit to the active RAF base at Scampton (Norwich) for a guided tour of the Dambusters quarters, briefing rooms history of the field from WW1 on etc and popped it on me a few days before the actual visit. It had to be done early for security checks to be made as it is an active base. A wonderful 3 hours with an excellent guide. Amazing raid and conception, with the highest proportional losses of any raid, but it was a morale booster and black eye for the Germans at a useful time. Don't think they'd accept a recruit with that look though! Cheeky... To put the record straight, here are three Tall boys, and yes, I am the tallest one! 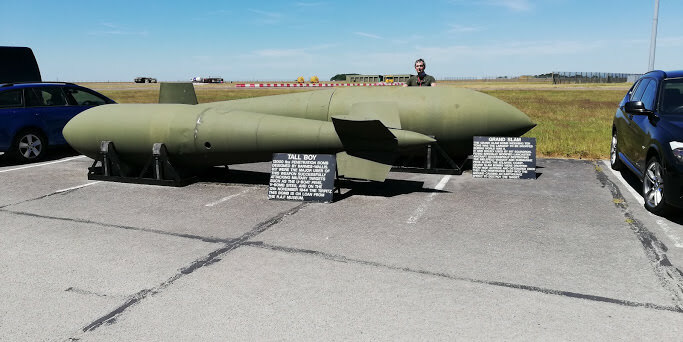 Barnes Wallis genius bombs were all on display - Titanium was used for the penetrating so they are still worth a lot of cash! Tallboy large (22, 000 pounds) and Tallboy medium (12,000 pounds) as modelled in the pic. The one at the back - Two pounds ten and sixpence ha'penny, at least. Looking forward to being back and doing my bit in the AKS and hope you are still keen on Cliffs of Dover - I am further amazed at how well the landscape and environmental designers did in capturing the English countryside. It may look a bit cutsey in CLOD but that is how it is. 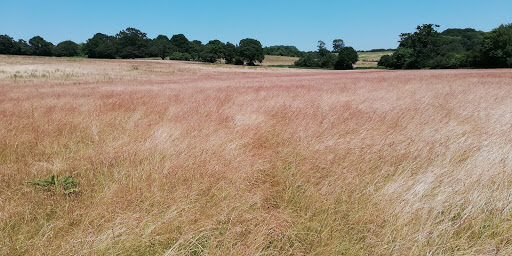 I saw this field which looks identical in all ways to my last crash landing in England. All the best, see you in the air (about 2 weeks time for me). Instead of exiting your kite and re-planeing each time you land, you can "Refuel and Repair " for a quick turnaround. 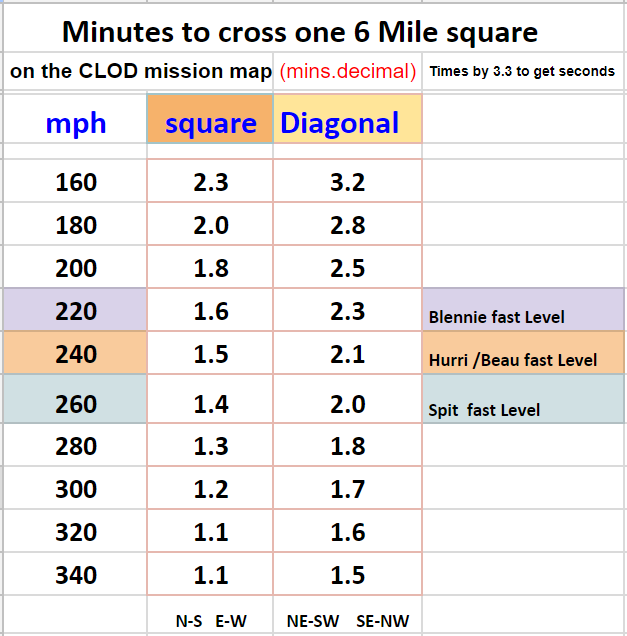 This is especially useful of you land at a non-active airfield. On the mission map, active airfields are shown as a white aircraft icon, inactive ones are grey, and the red ones have been bombed out of commission. You can launch initially only from the active fields (white), but you can refuel and repair at white or the more numerous grey fields even if damaged. Very handy in times of trouble, and saves a long flight to an active field to reload. 2 Open or click into a text chat window (Ctrl + Left mouse click on the window, or your hot key ) To make a text window, right mouse on your active screen / click New Info Window / select Chat Input, select chat output, save. <RR = refuel and repair. The '80' is the percentage of fuel you choose to take. <RR100 therefore gets you a full tank which is more than an hour mostly flat out. 30% or 40% will get you to winchester on most sorties. 4 VERY IMPORTANT 1 !!! You need to click out of the text chat window for your key commands to work again. 5 EVEN VERY IMPORTANTER 2 Your brakes are set to 100% - full on, when you have refueled. Make your first action to release your brakes (Just tap your brakes and they will release) then start as usual... chocks in , fuel on, up elevator trim, ignition, 20% throttle for 20 secs, 25%+ for 20 secs, full power and chocks away. Nice point - your radiator will retain its setting from your landing. But do check it anyway. When (not If you forget to take off your brakes, you will nose over and send $1 to the AKA beer jar. Its pretty full, but still room! 20 refuels without forgetting brakes, the jar is yours. Apply to the SargMgr.